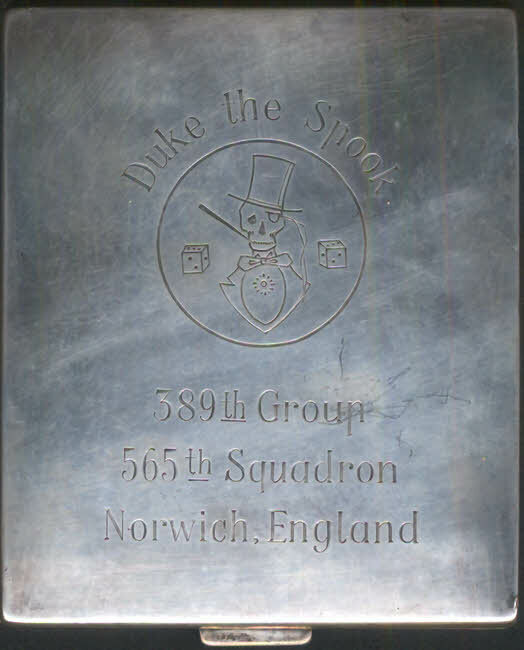 Cigarette case engraved by Crew 2464 of the 565th Bombardment Squadron, 389th Bombardment Group, US 8th Air Force, presumably after their arrival in England. The crew survived the war after being forced to land their damaged aircraft in Switzerland after a raid on 28 June 1944. Many thanks to Phil Smith for providing us with this picture.